The book’s hero is Derek Stillwater, a continuing character from the author’s earlier thrillers. Having read none of those books, Mr. Stillwater’s credentials jumped out at me: Retired Army Colonel and recipient of a Ph.D. The accompanying NYJB reviewer webpage lists those same credentials for me: but only the most vivid imagination could translate them into action-hero qualifications. Maybe that is why I don’t work as a troubleshooter for the Department of Homeland Security (DHS) as Derek Stillwater does. His is clearly a full-time job, which he routinely handles by exceeding his authority, trampling civil liberties, and beating up anyone getting in his way—a Stillwater that apparently doesn’t run deep. With such a convoluted organizational lash-up, Al Qaeda would be the only safe bet—even in a medium defined by our willing suspension of disbelief. But here is where Mr. Terry can fairly be criticized for failing to understand The Way Things Really Are in the American security hierarchy. For one thing, the DHS, the protagonist’s home agency, is really a top-heavy federal bureaucracy rather than an operational agency deploying troubleshooters—however much the agency occasionally pretends otherwise. Its bureau of Immigration and Customs Enforcement, or ICE, is a wonderfully bad-assed exception, but the bulk of American homeland defense rests on the shoulders of overworked and undermanned local authorities, not federal bureaucrats. Moving on, Stillwater’s conflicted love interest is Cassandra O’Reilly—“Blonde hair to her shoulders, blue eyes the color of gunmetal and an expression somewhere between rage and disgust”—and also another wretched Ph.D. Although this is a book notable for neither romantic interludes nor ironic asides, readers may wonder about Dr. O’Reilly’s presence in Los Angeles—where the attack unfolds—considering that she possesses credentials issued by Washington’s Directorate of National Intelligence. The DNI is even less an action-based agency than DHS. Its sole function: to achieve minimal coordination among the 15 or 16 agencies comprising the National Intelligence Community. Yet the DNI’s agencies lack common travel agents or zip codes, much less any conceivable operational jurisdiction outside the Capitol Beltway. All the more reason to applaud Mr. Terry’s unexpectedly brilliant conclusion: The treacherous Pakistanis turn out to have hatched the entire plot. Despite Mark Terry’s inexact grasp of American government realities, these are excellent questions. They are made even more so because he had no way of knowing that life would soon imitate art with the raid in 2011 that killed Osama within spitting distance of Pakistan’s military elites. So expect this book—a fair-to-middlin’ thriller and beach-reading mind candy—to emerge soon in paperback—maybe even as one of those B-grade movies running late at night on cable television. 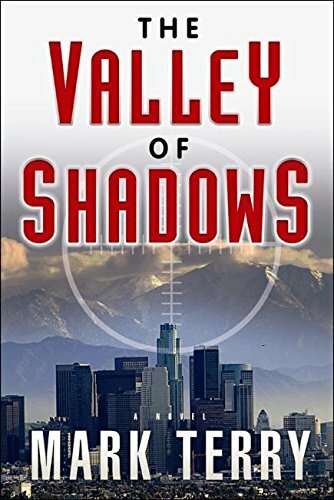 And unless hierarchies like DHS and DNI get a lot better at fighting narco-terrorist networks, the scenario depicted in The Valley of Shadows may even make a cameo appearance in a city close to you—sooner than you might imagine. Kenneth Allard is a former army colonel, West Point faculty member, and dean of the National War College. For almost a decade he served as an on-air military analyst with NBC News, is the author of four books, and is an occasional contributor to the The Daily Beast.